The company is now a growing network of partners in life and business. But it started in 2005 as a family business with the help of some friends. Venturing initially into the advertising business that runs for several years now, these pioneers rediscovered a life-time fondness for things spiritual but now complemented with a practical, natural and affordable approach to health and fitness-maintenance.The website is all about making people know the company's own journey to a life of discoveries in wholesome and fruitful-living founded on serving God and others. We do not claim to be perfect people with perfect health – just imperfect people with imperfect health but with a clear vision of a perfect God whose secrets to life and health are now slowly unfolding before us as He marks the final approach to His uncontested rule. This site is not just about the business of making money or the business of remaining healthy; it is about having life and having more of it. Here and Now! Health is a choice. And Life is both a gift and a promise. Establish a healthy society using natural products. Making wellness available and affordable to everyone. Promote essential and fundamental concepts of spiritual, emotional, physical and financial well-being. The body is capable of healing itself any disease related to mineral and nutrients deficiency. Optimum wellness achieve through hydrate, alkaline and detoxification of the body. Disease is not a state of victimhood, health is a choice. Making health as an integral habit in a day to day basis. 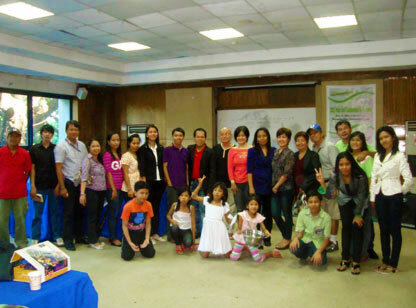 From 9:00 A.M. to 4:30 P.M. at the Olongapo Convention Center last December 17, 2012, TJ and its members assembled for the year's culminating activity. Since its founding on April 29, 2009, TJ has commemorated every end of the year with thanksgiving and celebration for the mighty provisions of the Lord. With its meager working capital at the start, TJ has progressed from a simple distribution company into a growing raw-material importing venture. Its share of the market is constantly expanding and crossing many borders through the efforts of its management and its members. The year-end program included a free seminar which provided members with information on chlorella, cell nutrition and the benefits of our country's traditional vital sources of nutrition, healthful utensils and enzyme-rich foods. TJ Wellness Wealth, in keeping with its mission to promote natural health, recently joined the Philippine College for the Advancement of Medicine Foundation, Inc. (PCAM) as Mr. Ramil G. Tuazon, TJWW Proprietor, recently became a lifetime member of PCAM. It has always been TJ's policy to utilize its time and resources in order to upgrade its members' ability to promote the good news about health. TJ's alliance with the right organizations in the health industry will strengthen its access to different modalities of treatments. These groups include experts in their respective fields' procedures, such as detoxification techniques, non-evasive treatments, nutrition-based medication and many more. 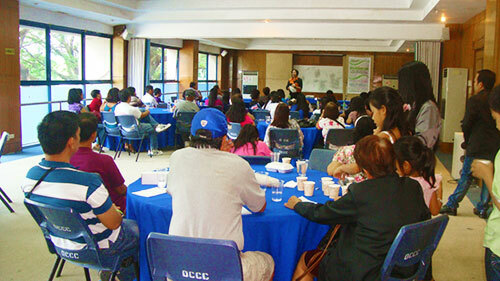 Members of TJ will benefit greatly from the information derived from lectures and seminars conducted by PCAM.